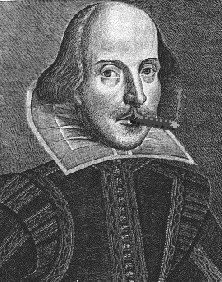 William Shakespeare was only one of the notable people who used the comedic device of the confusions caused by two similar people to write a successful play. Since that memorable effort, many others have attempted to cash in on one of the oldest dramatic tricks in the folio. One of these pathetic efforts involved two turtles. Upon this humble and uninspiring foundation we will essay a page on the topic of confusion by similarity. Much as we wish to believe ourselves distinct from the Great Mass of Humanity, there is precious little to justify this pretence. Since we share 98% of our genetic code with chimpanzees, we will probably wind up in the same cage at the zoo of the future when the aliens take over. The ridiculous practice of ornamenting ourselves with ink injected into our skin may finally come in handy as the aliens can use these markings to tell us apart. Otherwise we risk being treated like those interchangeable lower animals that we gobble in our entrees. I will now employ the little known argumentum ad trichodividum to demonstrate that our notions of individuality are, as Phineas T. Barnum might have said, "Hokum". Think of the attribute that you cherish as distinguishing you from others. Do you think that among the seven billion people cluttering the planet, none of them possesses that attribute? Probably several million of them. Now think of the next most important attribute. Subject it to the same test. See, there's nothing special about you. A comprehensive application of this will convince all but the dullest that similarity is ubiquitous. Now we will consider similarity so exact that no one can distinguish one instance from another. At the right you see two very similar looking babies. Are they identical? Of course not, look closely and I am sure you will find any number of subtle differences. So what am I aiming at? Confusion. You are now in a suitable state to read the rest of this article, having been convinced that everything both is and isn't the same and/or different. Go back and look at the first picture carefully. You may notice something odd about it now. Yes, it is a picture of Wallis Shakespeare, the almost indistinguishable twin of William. If you had thought about that cigar, you probably would have noticed it right away. I can almost hear the smack of your hand upon your forehead. It's not just the cigar, however. There are other differences, the most important of which is that Wallis Shakespeare was the most brilliant playwright of his age, and perhaps of all time. So how come you have never had to wade through one of his masterpieces at school or try to remember your lines in one at college or pretend that you really understood the motivation of Macbeth when trying to impress one of those cultural babes? The amazing truth is that you did. Wallis Shakespeare wrote them. All of them. "Forsooth! ", you may cry, "Foist not upon us another canard about who really wrote Shakespeare's plays! We gag at this mouthful of untruth. Our senses recoil at the decomposing haunch trussed as fresh meat." I know, you've heard about Christopher Marlowe and all those other literary types who would have given their codpieces and the contents thereof to be able to turn a phrase like Wallis Shakespeare. Now before you make a fool of yourself, think about why you have never read the 155th sonnet, and why "Shake-speare's Sonnets" were dedicated to "Mr. W.H.". Wallis Henry, dude. Need any more proof? Read on. what guides the wat'ry way that thou dost wend? and bring thee to thy harbour 'cross the bar. Sonnet 155. Any questions? One of my best, even if I do so trumpet my genius without shame. Better than all those wimpy musings about the chicks that Will tossed aside like apple cores. What did he say? Oh, hmmm, this one's a bit dark, Wally, we're not here to recruit for Her Majesty's Navy, you know. Sure. Too close to the truth. Okay, I was writing myself into that one, not just dashing off a quickie that Will wanted to impress some aspiring starlet. I can feel it, the tingle of disbelief that is trying to talk you into thinking this is nought but bullshitte. Why didn't I come out of the closet, start churning out plays, poems and elegant epitaphs (that's where the money is) under my own name? Look again at that portrait. What am I smoking? 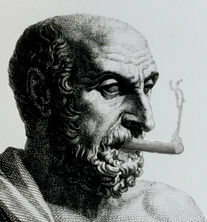 A cigar. Just one of the chest full given to Will by Sir Walter Raleigh and used by him to enslave me. It all started out at school, when Will, unable to keep up with his homework, asked me to help out. Mom couldn't afford to send both of us to Stratford-upon-Avon comprehensive, and so I stayed at home and did the chores while darling Will swanned about like the Doge of Venice. By the time that Will finished school, I had done so much of his homework that I could turn out an essay between matins and breakfast. Next I was writing advertisements for sack and small beer. Then Will got that chest of cigars from that neer-do-well Raleigh. One evening Will saunters in and says, "Drop the broom, Wally, I've got a real job for you. I want you to write a play." Once he had explained what a play was, and that I should write it about two pet turtles that get mixed up with each other and cause lots of trouble, I told him he should sober up and have a good night's sleep. No, he wanted the play, and he hands me this thing that looks like a turd and tells me to light it and have a puff. Anyway, he begs and pleads and finally I light the thing and take a big toke. Well, the next thing I remember is waking up with a bad cough and Will laughing his ruff off at what I had written. It wasn't the best play I would ever write, and it had to be rewritten several times before it hit the Globe. The turtles had to go. Before I knew it Will was an acclaimed playwright riding on my quill. At that point, I should have jumped. But no, I was hooked, a tobacco junkie and Will was my supplier. This would have been okay, because just about everybody was addicted to something if they could afford it, but tobacco was getting a bad name. Will kept me under cover at Stratford-on-Avon while he commuted to London and built up his theatrical career. By the time old Liz I dropped off the twig and James I, that throughgoing hypocrite, was warming the throne, there was no way that I could have weaseled my way into the court to get a career started. Enough of personal history, it's time to think about similarity in general. Once again I direct your attention to the right of the page. Now, the clock is ticking. Which one is the real Elvis? Sorry, time's up. You have probably already realized what the answer is. None of them. Yet, for heaving crowds of decrepit baby boomers, each is similar enough to the real thing to serve the dramatic purpose. The real Elvis, being unavailable to soothe the myriad aching hearts of his contemporaries, has scattered his similarities across the world. This in mere decades. My wicked brother was entombed almost three centuries before the full import of his, or should I say, my work dawned upon the fickle public. Now almost half a millenium's water has flowed down the Avon. Is it time for Wallis to be accorded his due regard? Only time will tell. Similarities cause the oft mistake. where visage causes comic deceit. don't trust the tale told by your own eyes. of confusing mirth - like a royal blue.